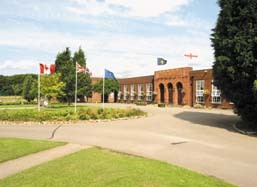 Are you searching for a Durham Tees Airport hotel? If so, you are in the right place! Here at UKACP we have made it easy for all of our customers to find the perfect airport hotel for their needs. No fuss, hassle free search results at your fingertips in seconds. Simply use our search feature to find the hotel for you. Enter your requirements and we will show you the best choices for you. You can then order the hotels based on what is the most important to you. This can be anything from star rating, to Wi-Fi, to price. Hotel Details In An Instance! All of the Durham Tees Airport hotels we show you will feature a summary, informing you of the most important details. This includes facilities and check-in details for example. You can then click for further information. Some hotels even have video guides and walkthroughs. When you pre-book with UKACP you will save from 15% to 60% every time as well as receiving instant online confirmations. Start off your holiday in style with the St George Hotel. It is located only 150 yards from the main temrinal. the hotel has such a warm and welcoming atmosphere as well as offering great service. It is also a great option if you are looking for a Durham Tees Airport hotel with parking, as they have excellent parking facilties all on site. 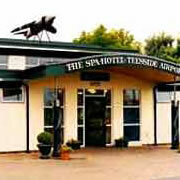 There is a great selection of family hotels situated in the Durham Tees area. Best Western Parkmore Hotel & Leisure Club is one of these. There are plenty of facilities, which make it a great choice for those travelling with children. Ladies, you can pamper yourself in the beauty salon or relax in the hydro spa bath whilst your other half keeps the kids entertained in the swimming pool. If you are looking for ultimate convenience, look no further than St. George Hotel. This three-star hotel is actually situated at the airport. If you are flying during the summer you should definitely make the most of the outdoor bar area. The service is friendly at St. George Hotel and the food is good too. they also have disabled toilets and ground floor rooms on request. Don't forget that if you decide not to stay in a hotel the night before you fly you can still save money on our Durham Tees airport parking packages. We will always save you anything from 15 to 60% compared to the car park gate price.